Liverpool’s new Brazilian duo, Alisson Becker and Fabinho, are both looking forward to their first taste of action against the Reds’ big rivals, Man United. 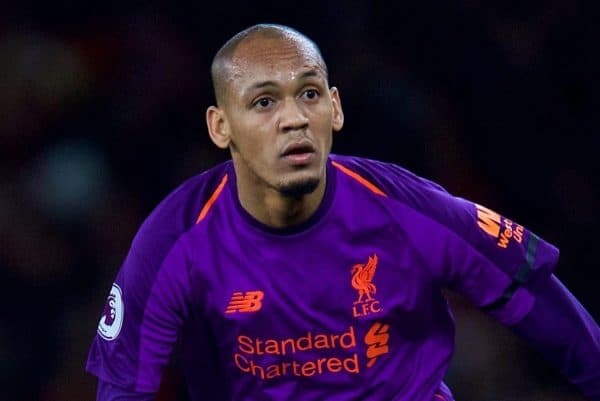 While Alisson‘s place in the team has been assured from the moment he signed, Fabinho has had to bide his time and learn the role required of him in midfield. Both have played an increasingly important part in the success of the team of late, however, with Liverpool moving top of the Premier League table and into the last 16 in the Champions League. 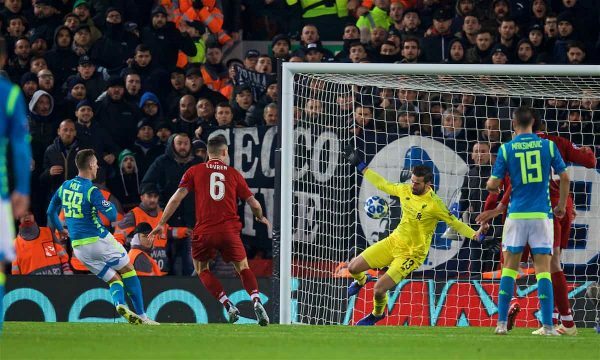 The latter was thanks in large part to a stunning late save from the Reds’ goalkeeper, who blocked Arkadiusz Milik’s close-range effort which, had it gone in, would have sent the Reds crashing out and facing the prospect of the Europa League instead. Alisson told The Times his save was the equivalent of scoring a last-minute winner—and now he’s fully focused on Sunday’s test. “A save at the end of the game is always great and you feel you have contributed to the game. “Of course, an important save in the first minute is as important as a save in the last minute but for the fans it’s the closest thing to scoring a goal in the last minute, like we did in the derby against Everton. “But I only managed to make that save with the help of my teammates’ contribution and thank God we got the victory. “The game against Napoli was really special; we had to get a specific result and were pushed on by the supporters. I don’t think Sunday will be any different. “The two clubs I played for previously, Internacional and Roma, had two major derbies so I’m used to derbies and, worldwide, the Liverpool-United rivalry is well known. “We were very familiar with it in Brazil, more aware of it than of the Liverpool and Everton rivalry given the size of the two clubs, but knowing about it and experiencing it are two different things. “I can’t wait to experience it and some beautiful football. 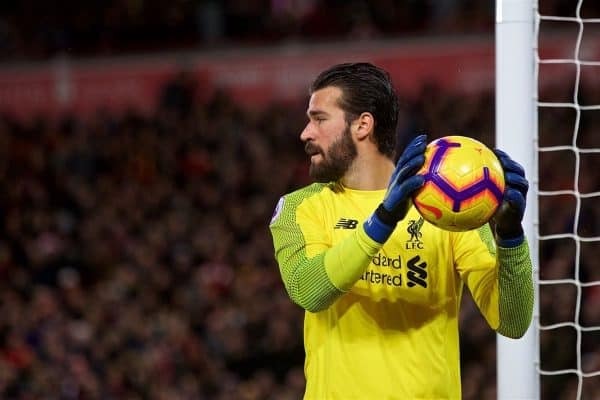 Alisson is a lock to start against the Red Devils, but Fabinho has been in and out of the team with Jurgen Klopp continually shuffling the deck in midfield. The combative player recently made headlines with statistics underlining his importance to the Reds and that might mean Klopp brings him back in for the visit of Man United. He says the game is one to look forward to and told LiverpoolFC.com he hopes it’s a match to recall with the same fondness as the recent Merseyside derby. “They’re the two most successful teams in England, so history shows that there’s a huge rivalry. I think the geographical closeness, with Manchester being just down the road, adds even more to it. “I’m definitely looking forward to it. When you sign for Liverpool you have these types of games in mind. With the passion of the fans, their support, we go on the field to give our best to put on a show for them. The Reds have picked up four big victories recently and seeing off United, to remain unbeaten and top of the table in the process, would be the biggest statement and most important result of the lot.